Privileged users have the power to make configuration changes in your network that could jeopardize security if left unchecked. 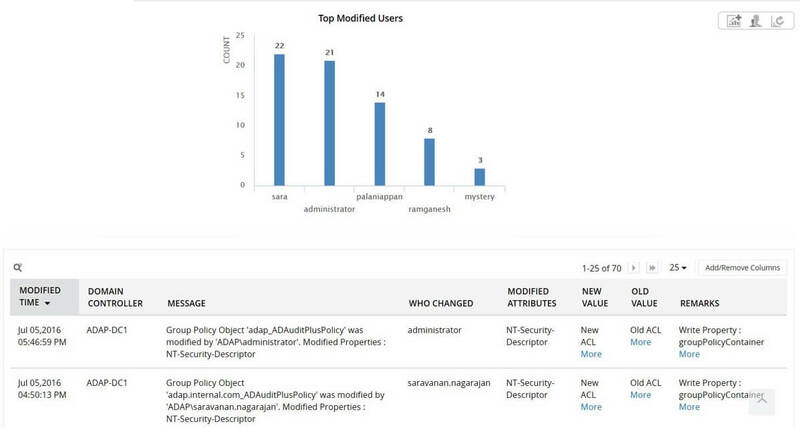 With Log360, you can track logon activity, including privileged user logon failures, and visualize the entire user audit trail. Easily track administrative actions, such as modifications made to different AD objects, and user session activity. This will help you detect anomalies such as unauthorized logons and access attempts during non-working hours. Both of these Log360 features help keep insider threats under control.